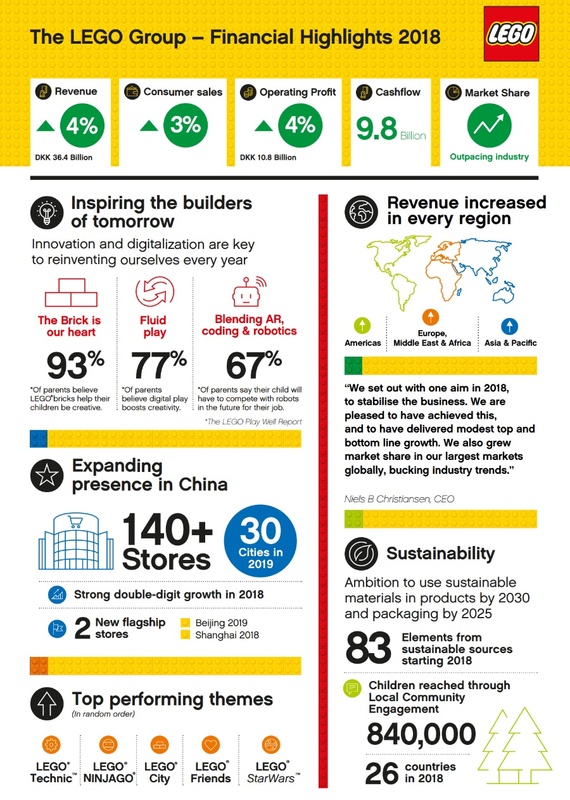 The LEGO Group has announced their annual results for 2018 and the news is a lot better compared to last year. Sales in traditionally strong markets like the US, UK and Germany remain good with single figure growth, but real improvement is being seen in Asia, with China showing particularly good numbers. Overall the LEGO Group has seen revenue up by 4% and market share has risen in all markets. This marks a vast improvement on 2017’s numbers partly due to the loss of Toys R Us, poor engagement with The LEGO Batman and LEGO NINJAGO movie lines and slow shifting of stock at retail. See the full details below and read the full report here. In 2018, the LEGO Group bucked toy industry trends to increase its market share in all major markets. Revenue grew 4 percent to DKK 36.4 billion; operating profit grew 4 percent. Global consumer sales grew 3 percent in 2018 compared with 2017. Revenue for the full year grew 4 percent to DKK 36.4 billion. In constant currency, revenue grew 7 percent compared with 2017. Operating profit grew 4 percent to DKK 10.8 billion. Net profit was DKK 8.1 billion, an increase of 3.5 percent. Cash flow from operating activities remained strong at DKK 9.8 billion. 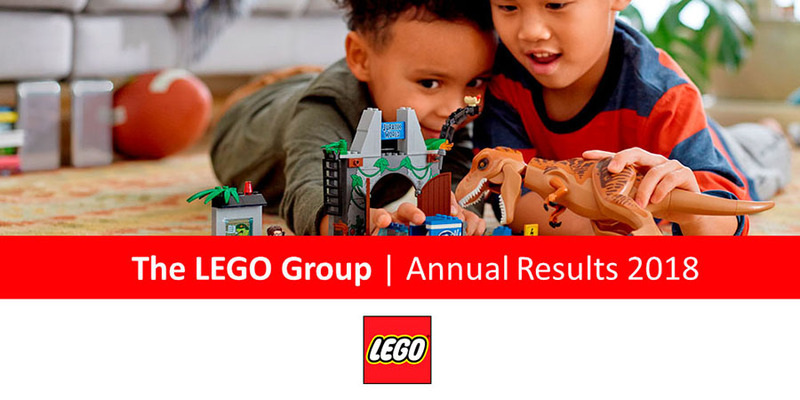 BILLUND: February 27, 2019: The LEGO Group today reported earnings for the full year ending December 2018. Global consumer sales grew 3 percent, while revenue for the full year grew 4 percent to DKK 36.4 billion, up from 35.0 billion in 2017. In constant currency, revenue grew 7 percent compared with 2017.